Inspired by the long-standing Belgian tradition of coffee and chocolate, our Maître Chocolatiers created six unique pralines made with single origin cocoa that pair perfectly with coffee. 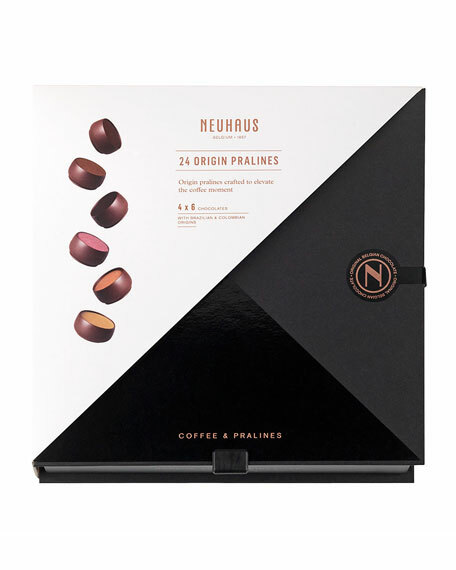 Coffee & Pralines Origin Box. Pralines created to elevate the coffee moment. Allergen Information: Contains dairy, soy, and tree nuts.